One month after bringing its loan origination platform to $5.6-billion North Carolina-based First Bank, Baker Hill is back in the news, reports David Penn at Finovate. 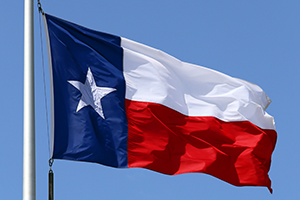 The fintech is teaming up with West Texas State Bank (WTSB) to support loan growth with its NextGen Loan Origination for Commercial and Consumer Lending platform. The technology, in the words of WTSB chief lending officer and COO Les Robbins, will help the bank “streamline the origination process with … roles-based, intuitive lending solutions”. WTSB will use Baker Hill’s technology to standardise both its commercial and consumer lending processes, and automate manual tasks. In addition to making the underwriting process “more efficient”, the platform enables bank professionals to access customer data across loan types to create a financial portrait for risk management. Founded in 1983 and headquartered in Carmel, Indiana, and Beaverton, Oregon, Baker Hill serves 500 financial institutions, including more than 20% of the top 150 US banks and 20% of the top 25 US credit unions. The company was acquired by Riverside Company in 2015 for $100 million.